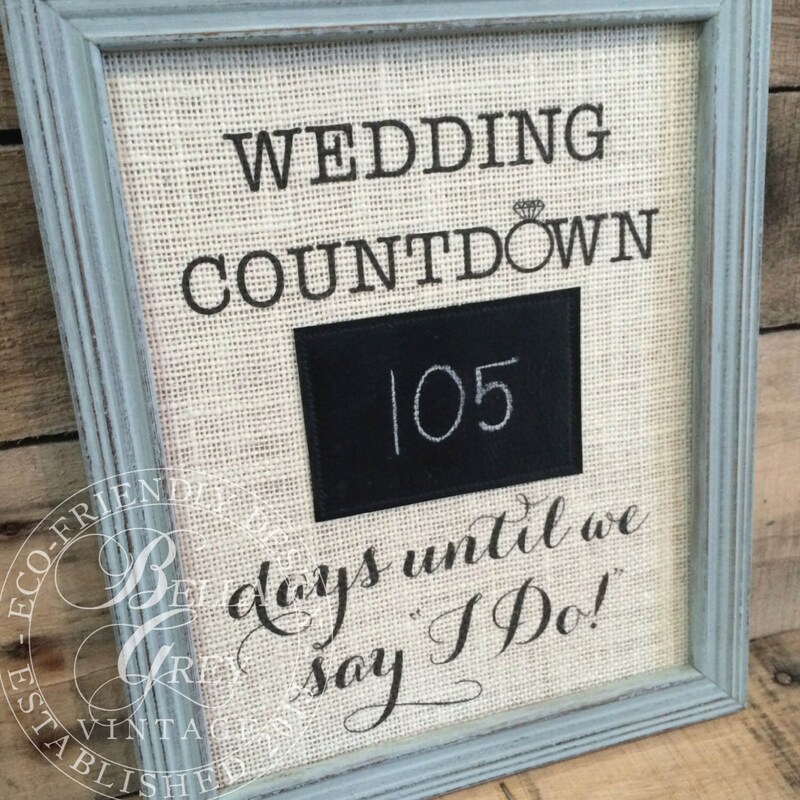 Count down the days until you say "I Do" with this rustic wedding countdown sign. 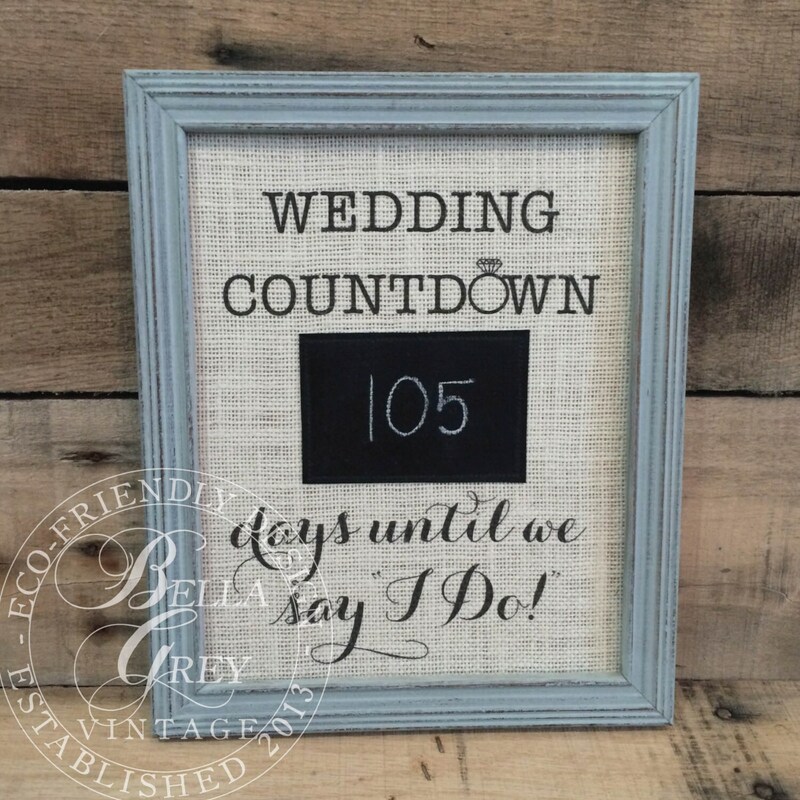 Makes a fun engagement or bridal shower gift. 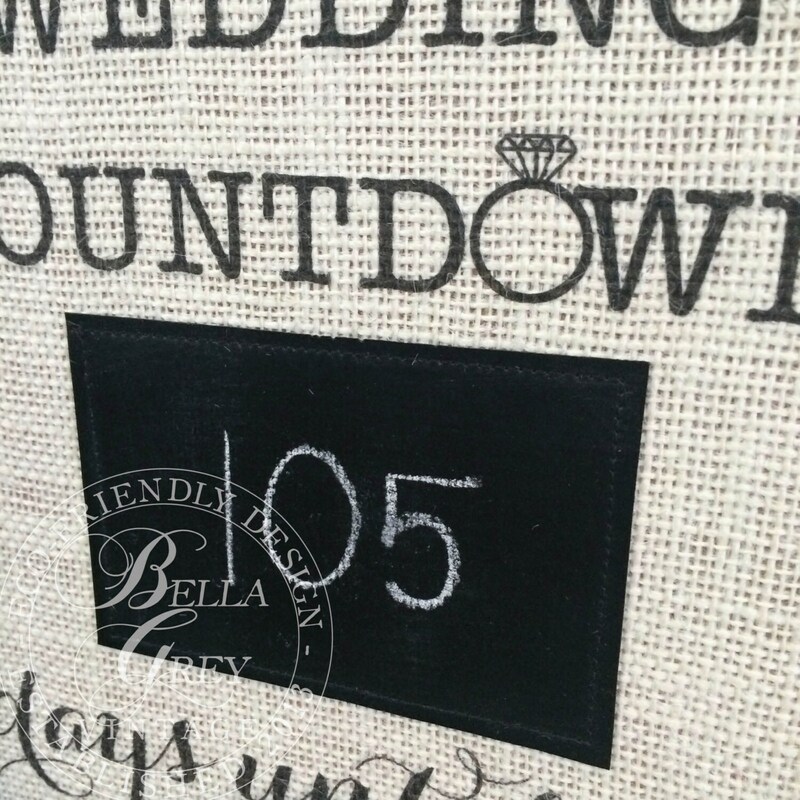 Chalk fabric is sewn to the fabric, making it fun and easy to count down the days! Both traditional chalk and chalk markers may be used. Beautiful! This will make my niece's shower extra special!! Thanks so much! I bought this as a gift and it looks great! 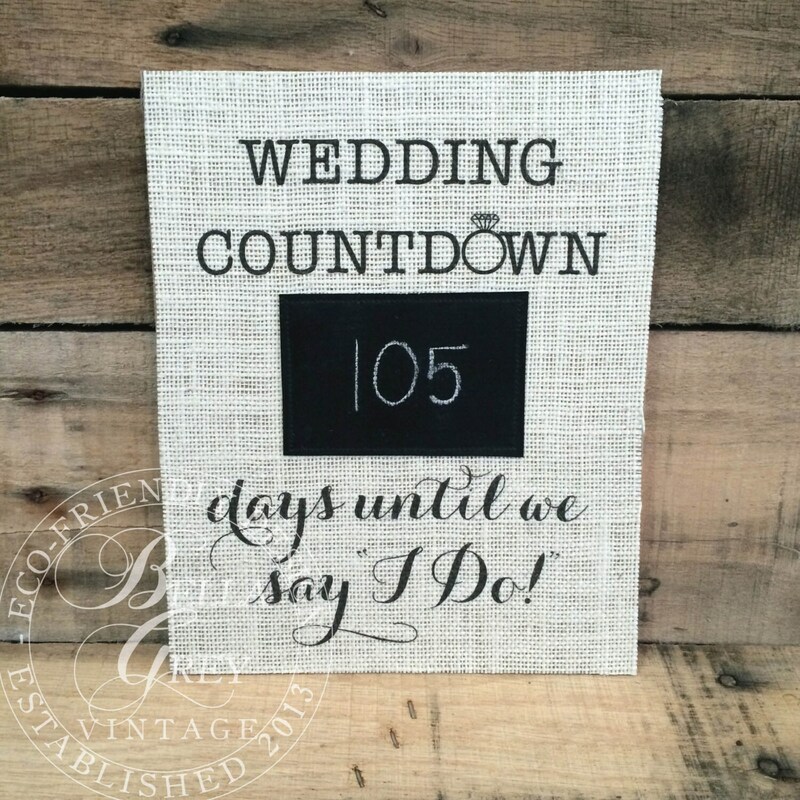 The ordering process was quick and easy and the shop owner was great to work with! I would order again, the print shipped and arrived quickly and was beautifully wrapped up. Love it!